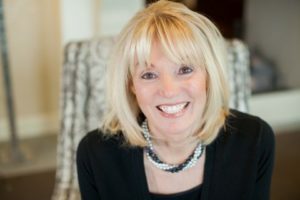 Mary B. Lucas is an author, speaker and people connector. She is a renowned staffing industry leader with over 30 years’ experience. Currently, Mary serves as the Chief Talent Officer for Supplemental Health Care, where she and her team focus on creating solutions that enhance the talent experience. Mary’s highly successful book, Lunchmeat & Life Lessons, is a motivational memoir and tribute to her father on how to bring out the best in yourself and others. The book’s momentum took off immediately after it was published in 2006 and its impact is felt around the world. Companies, professional organizations and universities invite Mary to speak to audiences to share her wit and wisdom. She has spoken to thousands of people at hundreds of corporate audiences, commencement addresses and professional meetings with one mission: to share life lessons that help people create meaningful connections and inspire themselves.